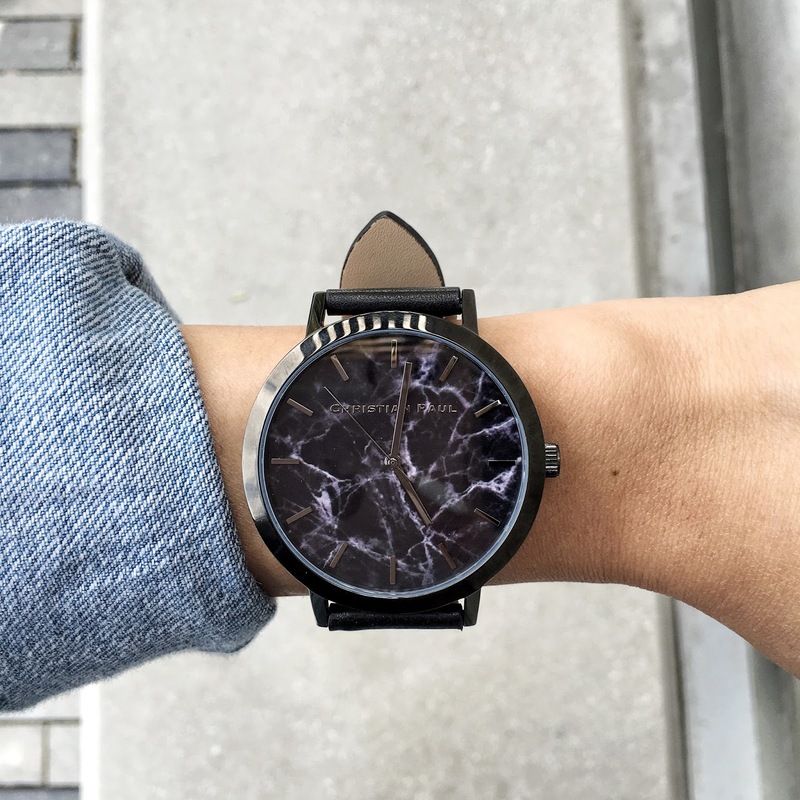 Sleek and simple with a beautiful black marble face is what this Christian Pauls Watch* portrays. 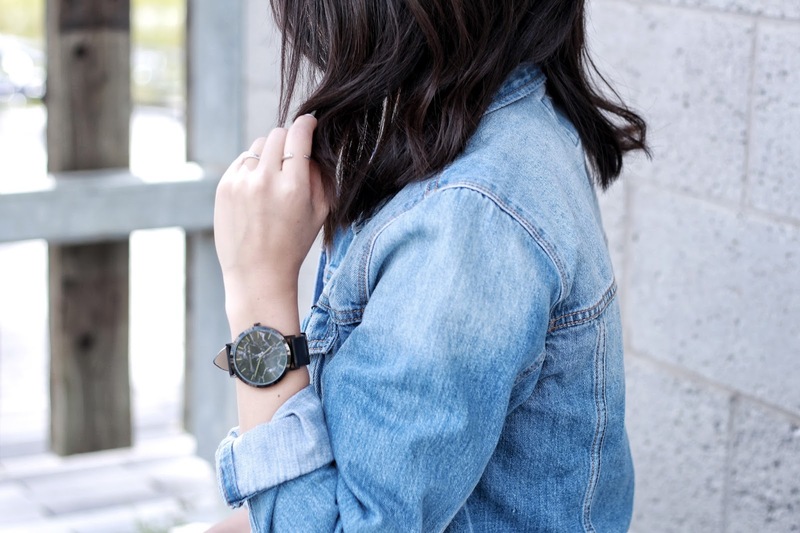 I've been lusting over a simple watch for awhile now to keep the outfit settle and mature. 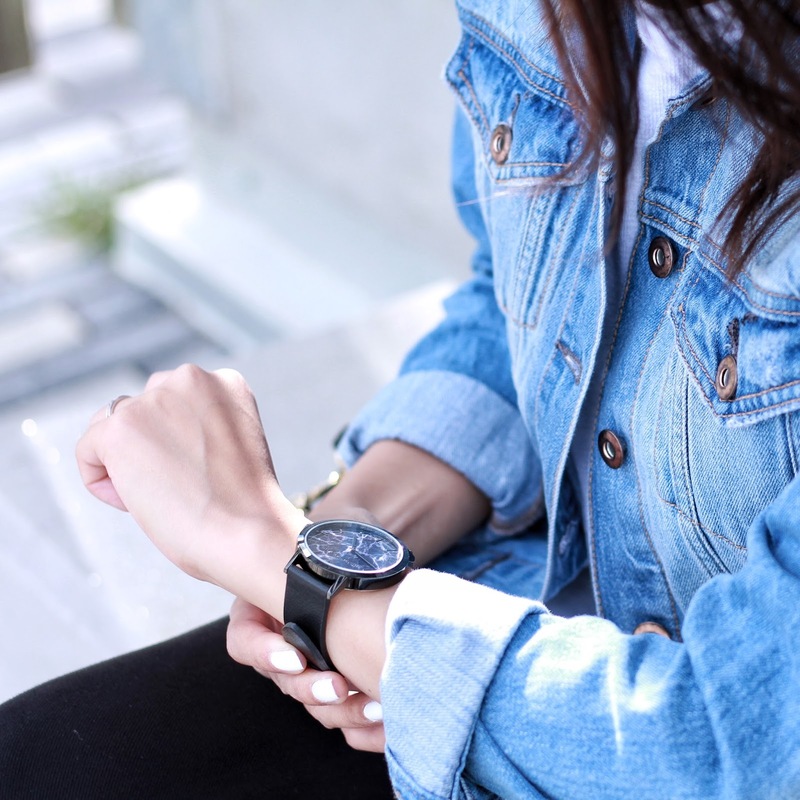 In today's outfit, I styled it with a simple denim + white with black pants to keep it slim like the 43mm watch. 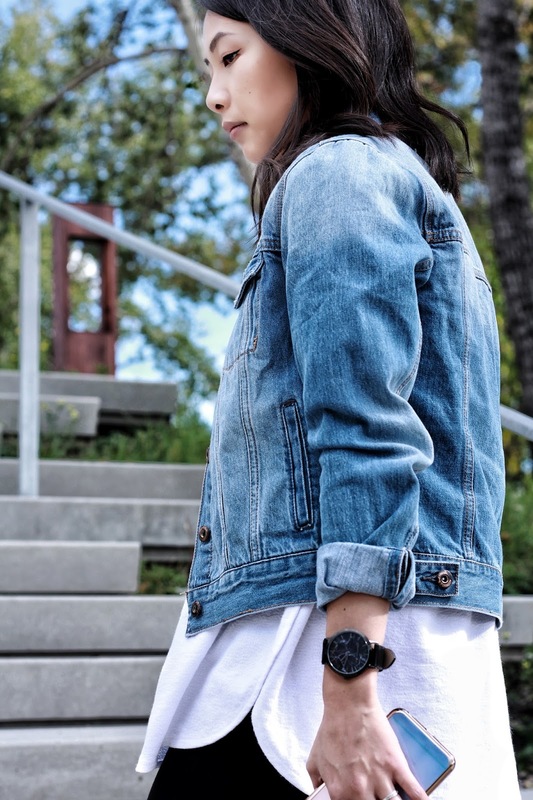 It's casual and simple to be worn with any casual attire and it features black Italian leather band, Japanese quartz movement, beautiful gunmetal embellishment and water resistant to 50 meters. This watch is simply elegant, minimal and extremely stylish. For all you marble lovers out there - this is the perfect piece for you. After a few good stressful months, Mindtheminimal has finally launched! It's been quite an adventure and I've learned so many new things - I'll do it again in a heartbeat. It's such a great experience to build something from scratch and to see it happen. Well enough about the intro, here's what Mindtheminimal is about. 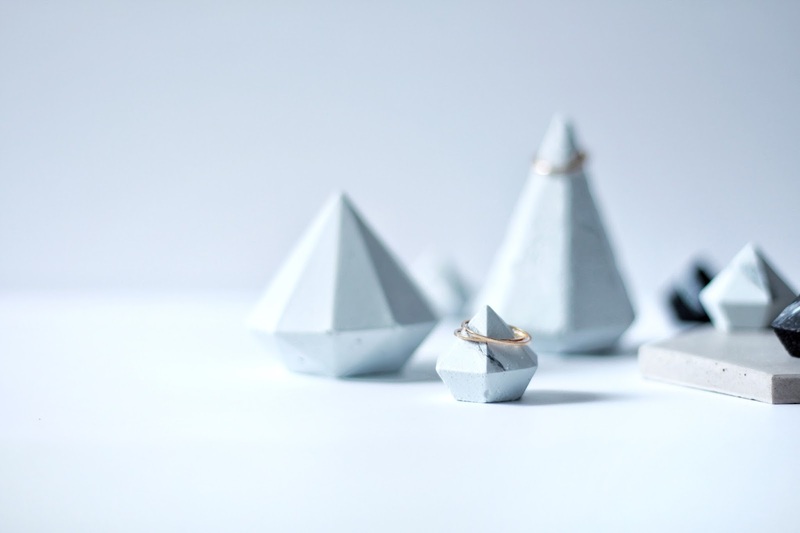 Handcrafted minimal aesthetic based on the element of concrete + minimalism. What started off as a simple blog became much more when I decided to pursue it. With a sudden change of career path, it all hit me in an instant to find something that I wanted to create of my own. Mindtheminimal came to be when I discovered my love for modern design and minimalism. 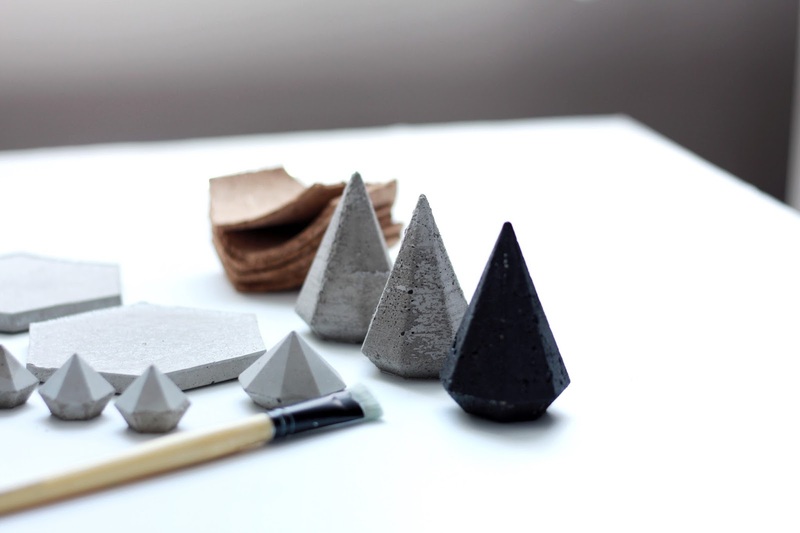 Through sketches and planning, the element of concrete became what I wanted to work with. With its simple structure and rawness, it turned into something that means a whole lot more. Thank you for everyone's support!